Contradictory to earlier reports emanating from Kuwait, it has now been confirmed that Nottingham Forest have failed in their bid to be granted work permits for Bader Al-Mutawa, Khalid Al-Rashidi and Hussain Fadel. The Kuwaiti trio have all spent time on trial at the City Ground over the past month following the Championship club’s takeover by the Al Hasawi family. All three players impressed Forest boss Sean O’Driscoll enough for the club to explore the possibility of gaining work permits as they looked to sign them on a permament basis. Al Hasawi went on to thank the players for their efforts and Kuwaiti top-flight side FC Qadsia for allowing Forest to take a closer look at their players. Work-permit regulations in the United Kingdom require incoming players to represent one of the top 70 countries in FIFA rankings and the player must have played 75 per cent of their national team’s competitive games in the past two years. Unfortunately Al-Mutawa, Al-Rashidi and Fadel did not fulfil these criteria due to Kuwait being ranked 96th by FIFA. It’s a bitter blow for all three, especially Al-Mutawa, widely regarded as Kuwait’s best ever player, after it had been claimed that he was to be granted a permit. However, the 27-year-old, hailed by Al Hasawi as the “second best player in Asia”, will now return to his homeland just weeks after speaking of his delight at linking up with Forest. “It’s a great honour to be trialling at Nottingham Forest,” Al-Mutawa told the club’s official website. Michael Bastos scored an early contender for Goal of the Season in Ligue 1 and then admitted he doesn’t know what the future holds as he continues to be linked with a move to UAE giants Al Ain. The Lyon winger has been the subject of much transfer speculation in recent weeks with Pro League champions, Al Ain, keen to bring him to the Emirates. Bastos put the uncertainty surrounding his future at the Stade Gerland to one side on Saturday night with a stunning bicycle-kick goal he later described as a “gift from God” in Lyon’s 4-1 home win over Troyes. However, the 29-year-old admitted afterwards he is still in the dark over his future with Sport360° understanding long-time suitors Al Ain are reluctant to push through a deal until the future of their own star Omar Abdulrahman is resolved. The 20-year-old Emirati has spent the past fortnight on trial with Manchester City, and Al Ain are waiting to see if the Premier League champions will sign the playmaker on permanent basis, before proceeding with their own transfer plans. 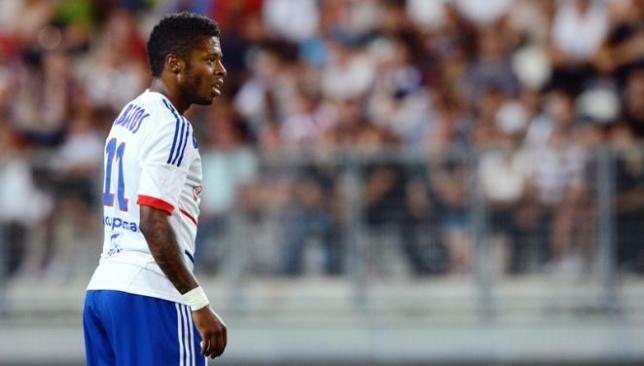 “I do not know yet if I will stay,” Bastos told French radio station RMC. “It is possible that I will remain and it is also possible that I leave. Bastos had appeared certain to leave Los Gones, for whom he joined from Lille in a €18million deal in 2009, earlier this summer after being publicly criticised by Lyon president Jean Michel Aulas for a perceived lack of effort. However, his recent remarks suggest all may not be lost at Lyon and he could yet remain in France should a deal, reported to be worth €9million, fail to materialise with Al Ain in the coming days. Judging from his senational goal on Saturday, though, there is no doubt he’d be a welcome addition to the Pro League and an Al Ain side with their sights firmly set on AFC Champions League glory next season. Robin van Persie will not be the only Dutchman joining Manchester United this summer as Vitesse left-back Alexander Büttner closed in on a “dream” move to Old Trafford. The 23-year-old flew to Manchester on Sunday to undergo a medical and put the finishing touches on a five-year contract with Sir Alex Ferguson’s men. A fee of around £3 million has reportedly been agreed between the two clubs for the transfer, which would realistically end United’s interest in Everton’s Leighton Baines. If the move were to go through it would cap a remarkable turnaround for the defender, who had looked set to sign for Premier League newcomers, Southampton, before the deal broke down due to a third party demanding part of the transfer fee. The player’s agent then claimed Fulham, as well as clubs in Germany and France had expressed an interest in the uncapped former-Ajax youth team prospect. However, it is United who appear to have won the race for the left-back, who scored five goals in 13 appearances last season before being named in Holland’s provisional squad for Euro 2012.